Most of the times we are not allowed to choose gaming as a profession for the sole reason that we can not earn money with it. 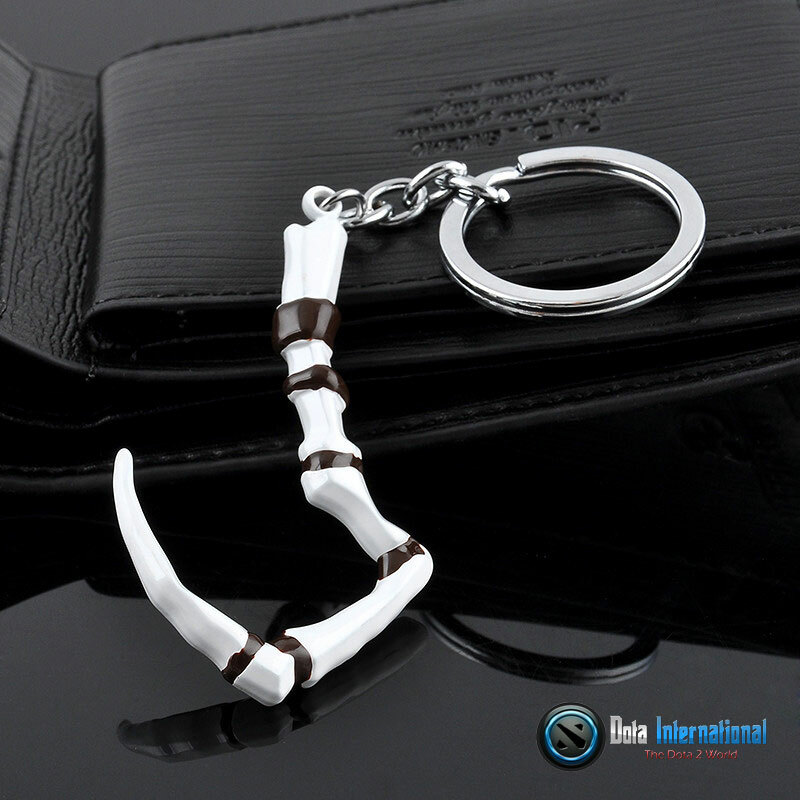 However, we have made a list of all the methods with which you can Earn Real Money with Dota 2. By organizing tournaments, you can earn real money with Dota 2 depending upon how successful your tournament is. However, you’ll have to get it approved by steam if you want your ticket to appearing in Dota 2 store. 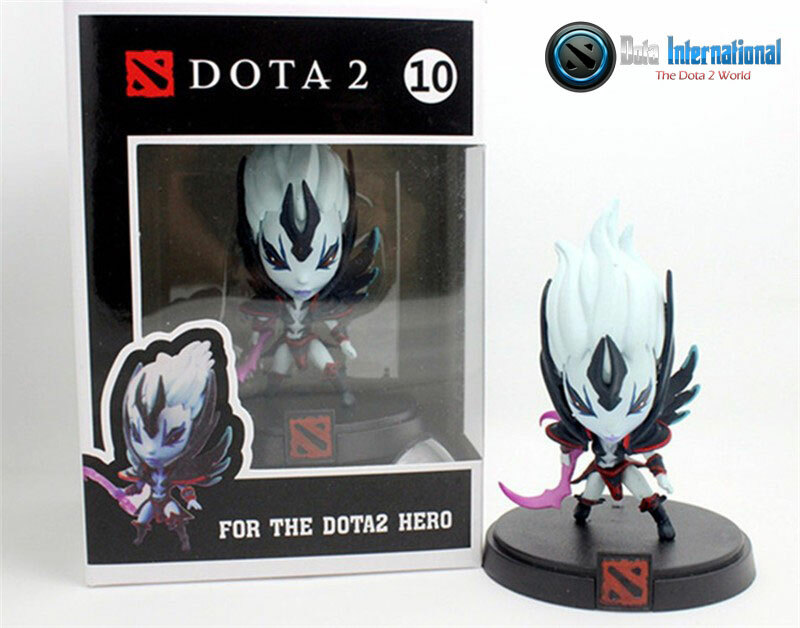 You can earn via entry fee and also by sale of tickets in Dota 2 store. If you are well known in a community and can gather good amounts of teams and have a good organizational setup, you can earn really good money in just 7-10 days. 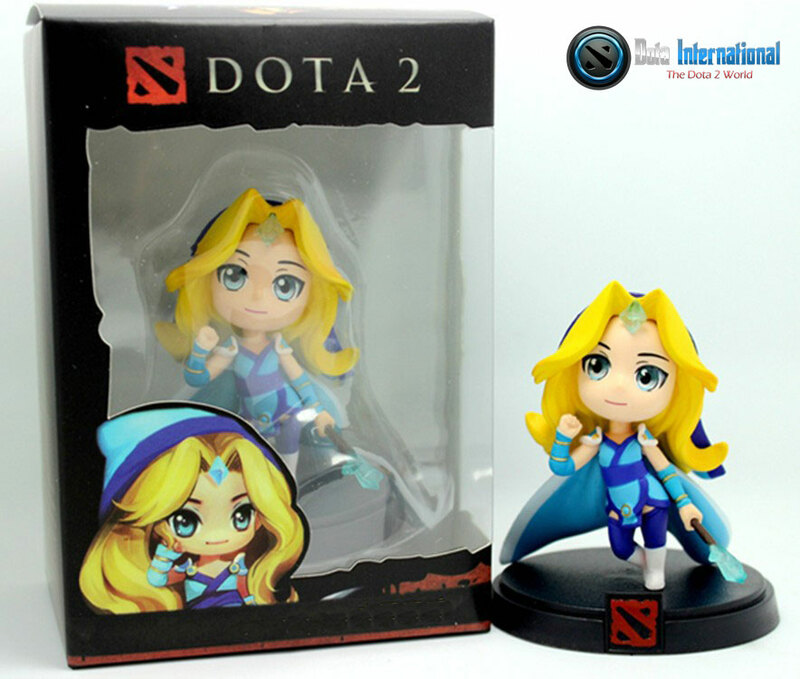 If you are new in this thing, it can take you lots of time to get your self recognized in the Dota 2 community. Moreover, it requires quite some time, dedication, experience and above all a good organizational team to complete a tournament successfully. You can make cosmetic items if you have requisite skills in 3D softwares. You can then submit those to steam to be released by them officially. Once your items are available for sale, you’ll start earning money. That money is transferred directly to your bank. If you are good in 3D software and have some sound imagination, you can really rock and earn almost $15,000 per year from Dota 2 workshop items. Valve gives you a 25 % share. that means if your item is sold for 10$, you will get 2.5 % for it. So if you sold 100 items, the total amount will be 1000$ and you will get 250$. But when getting this money out to your bank, you will have to pay an additional 30% tax. So out of $250, you’ll get $175 in your account. So, for sale of an item for $1000, you get 175$, Valve gets 750$ and US govt gets $75. Now, it is totally up to you what and how much you want to earn. Most of the times, it is you who has to advertise that item too to get it in-game and to get more sales. Valve/steam only promotes if you make some extremely high-end product. For rest of the items, it is you who has to promote product your self. Once your items are sold in steam community market, you don’t get any margin out of it. So, it means, you’ll get paid for your hard work just for once and that too small share. 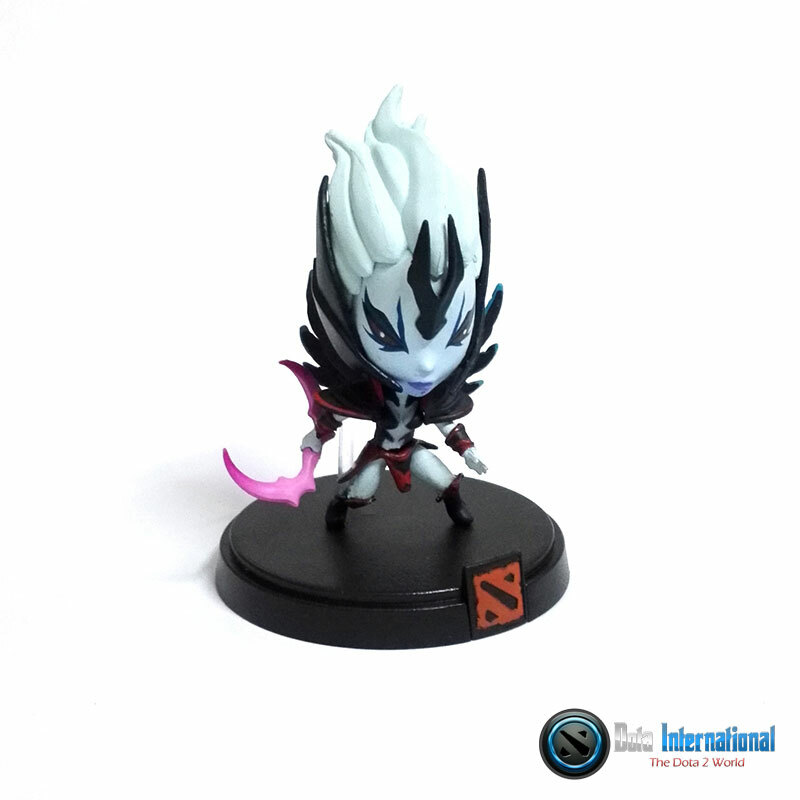 There are many Dota 2 gamers who don’t have a credit card or Paypal facilities, but still, they want to equip their heroes with awesome skins and cosmetic items. So they ask to pay money by meeting up or by local money transfer methods. 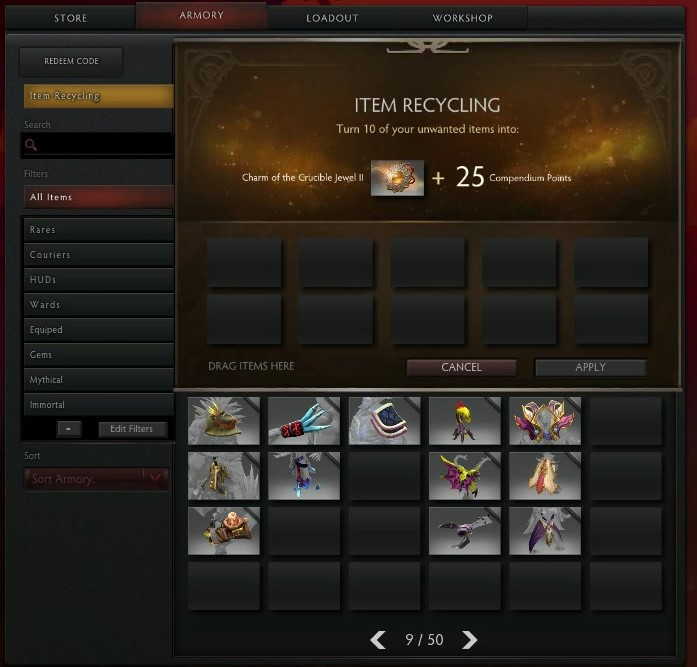 If you have enough amount of Dota 2 cosmetic items, you can sell it to those who are looking to buy it with real money. You don’t have to spend a big amount, you can start low and then go on. Almost 1 year ago, once you used to get items drops which were marketable and trade-able, you could sell those in steam community market or to someone who was willing to buy it from you personally to earn some steam wallet or real money. But now that option is over. But now, 1st of all, item drop rate has reduced many folds. Secondly, you get items which are not trade-able, not marketable and can only be gifted once. So if you get trash items, you can only give them away or delete it. Almost no use of it. Getting trade-able items for free dream is almost over. You can only get such items via betting. See the next option. Many chances of scam are possible from both the buyer and seller sides. However, you can use LootMarket to sell your items and then get the real cash to your online money accounts. 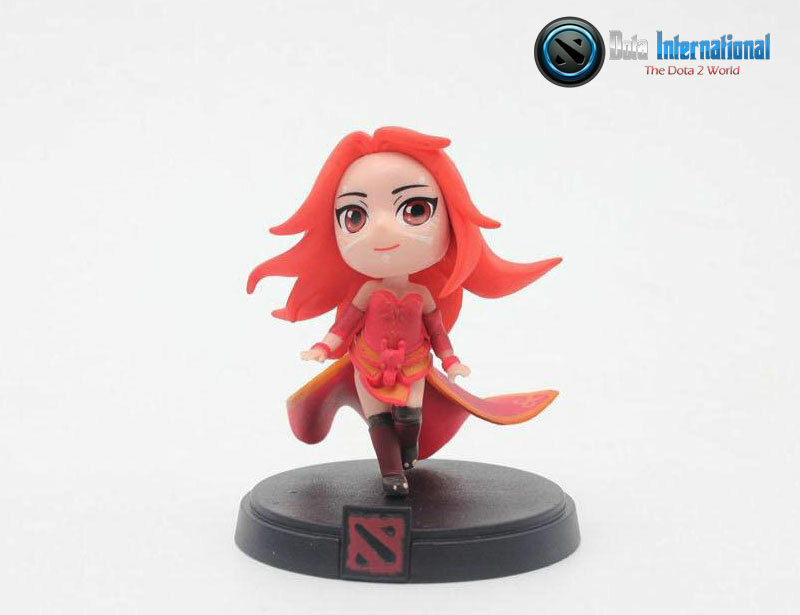 You can bet on different Dota 2 betting sites etc and if you win, you will get items other than your own. However, if you lose, you will definitely lose your items too. So this is like a double edge sword. You can either win lots of items, or you can lose really easily. I suggest that you should only bet if you are totally into Dota 2 pro scenes and know all the stuff going on and you don’t skip even 1 match. We have carried out a detailed review of Dota 2 Betting sites. Must have a look at it. You can win lots of good items if you know about Dota 2 Pro team’s performance history. You’ll need a little investment of items to decently with bets. There are also great chances of losing your bet and hence your items investment. So, whatever you do, play and plan carefully. If you have got a good team with great gameplay, then you should start participating in Dota 2 Pro and Premium tournaments where sometimes prizes are in 6 digits. However, you can only get to that amount if you and your teammates are really good. This is the best and most paying method to earn real money with Dota 2. The easiest way to become a millionaire. Once you win a major tournament, there are many many chances that you will clean sweep in small tournaments. You can not start alone in this. You need to have a great team and team play. Your game must be awesome so you can actually beat the legends. If you are mediocre in game, then there is almost no chance of earning big, however, you can still participate in Amateur tournaments and win the different amount of prizes. Recently valve added some cash making opportunities for custom game developers. They have started a pass system. Once people purchase a pass, they get extra benefits in that specific custom game. More like League of Legends where you pay money to get awesome heroes and then dominate the game even with low skills. But thankfully it is only for some custom games. Here is what Official Dota 2 Blog said about it. If you know to code and especially Dota 2 related coding and you have some awesome ideas for a custom game, you can develop a custom game, make it so awesome that it gets to the top and then you can start earning real money once steam releases a pass for your game. You can not use this money making method if you don’t know to code. Your game must be fun to play and absolutely bug-free if you want to develop a good fan base. You must have advertising skills or advertising budget to promote your custom game to get more fans and players to climb the ladder of success. You can live stream your game on Twitch TV or other live streaming platform and if your fans/viewers like your stream they will donate money to you. If you are a girl, you can easily earn money by showing your cleavage and desperate gamers/viewers will donate money to you, almost no one cares about your game if u are a girl. However, if you are a male, you must be extremely entertaining with a great game to go for this option. 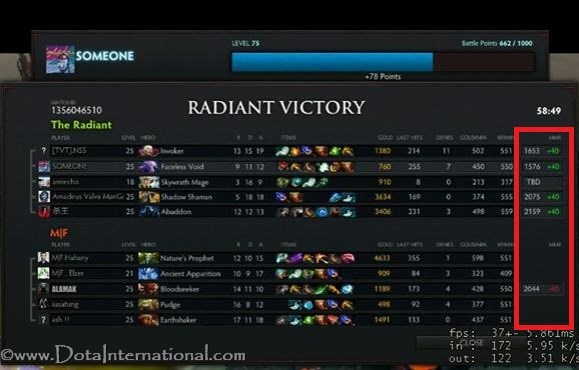 You can earn money while having fun playing Dota 2. Once you become famous, you can earn good amount of money. This method can not make you a millionaire in a night. Most of the top streamers earn up to $100-$150 per stream on peak days. But still, there are some who earn some real amount of cash just from Live Streaming Dota 2 games. If your game is normal and you are not that much entertaining, then there is almost no use of streaming your game live, as there are very fewer chances that people will watch your game. You can not only earn money by organizing and winning Dota 2 Tournaments but rather you can also earn some money by casting it to some audience. Usually, tournament organizers need someone to commentate the in-game happenings to their viewers so they know what’s going on in game. 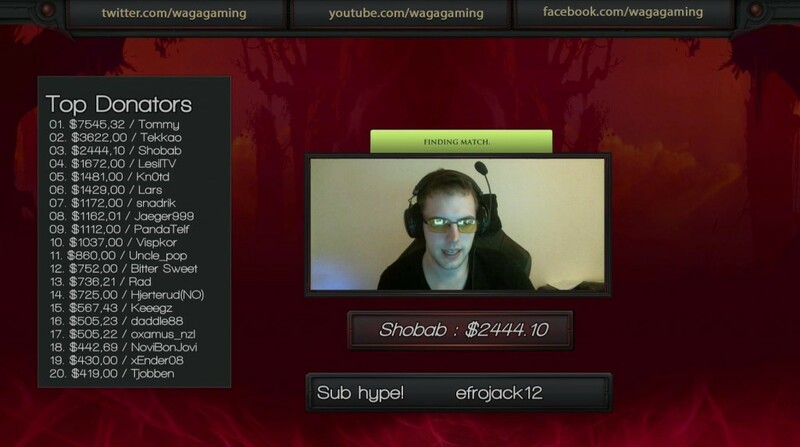 Pro tournament pays quite some handsome money to casters. Have fun watching the game and earn money for commenting on it. Same problems as in live streaming, you need to be entertaining and your analysis must be up to date and great. You cannot be hired directly by top tier tournament organizers, you must be someone in casting scene before you can hope that you’ll e hired. However, you can start from a small tournament, learn the art of casting Dota 2 tournament and then climb your ladder up to success as you gain experience. You must not be expecting that I’ll add this method in this guide. But I wanted to show you ALL the means by which you can earn money either good ways or bad ones. So you can scam people for their account, you can hack their accounts to steal items and then sell those in the market to earn cash. You don’t need any investment for this, you can start with almost nothing and go on. You can not go on with this method for long. Almost all the scamming ways are closed by Steam. However, still, there are greedy and dumb gamers around who are like eager to be scammed. But this method is extremely time-consuming with almost no outcome. I guess you must be thinking now that those days are gone when your Mom used to say that you can not earn real money with Dota 2, so get off your computer and study. Tell us in comments below how you are making money with Dota 2 if you are making any. Suggestions and positive criticism are always welcome. I will explain in detail about the steps through which you can optimize Dota 2 for a smooth gaming experience. It will not tell you any cheats or hacks but just some tweaks and settings for best game performance. It will be the game’s working performance, it is not about how you play during the game, rather it is about customizing your game to avoid lags, delays, crashes and improve your in-game performance. I have assumed that you have low-end PC and low-end Internet and you may be knowing many of the stuff earlier. If you know anything, skip to the next step. Even if you have high specs PC and fast internet, there are still some stuff which can be useful for you. You can implement as many steps as possible or as you wish. This will ensure that you have a smooth gaming experience and will make your gameplay more easy than before. I have distributed this guide in 2 main sections. Optimize PC for Smooth Gameplay: This will have all the information about optimizing your PC for Dota 2 so you can take best out of your PC. If we talk in easy language, Information is stored in form of small boxes on your hard drive. So for example, if Dota 2 is distributed on 24 boxes, then these 24 boxes will be scattered over the whole hard disk. So de-fragmentation allows you to combine all those boxes in 1 part of your Hard Drive for the smooth working of game. Here is how we do it. Right-click on C Drive and from the drop-down menu, select “Properties“. Go to the “Tools” tab and select “Optimize“. Another new window will open. 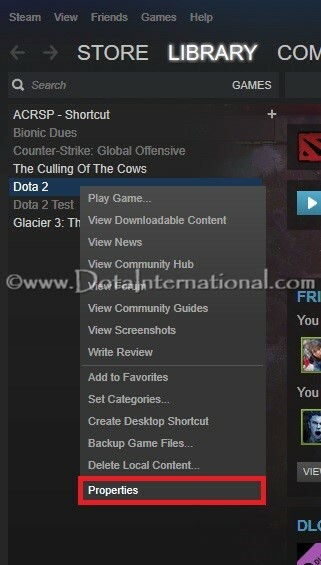 Select the drive in which Dota 2 is installed and click on Optimize. Give it some time, it may take from 1 hour to 5 hours depending upon the size of your hard disk and you are done. Each time Dota 2 Crashes, it creates a crash dump report file in case you want to report the issue to steam or whatever reason they got. Size of each file is almost 35 MB. So just make a guess how much space that can create on your hard disk after every 6 months? First time I cleaned those files I freed up 2.3 GB of space form my Dota 2 folder. Again after almost 3 months this size has swelled up to almost 850 MBs. You can remove all these files with “.mdmp” extension. Do not worry it does not create any issue, I tested it my self. 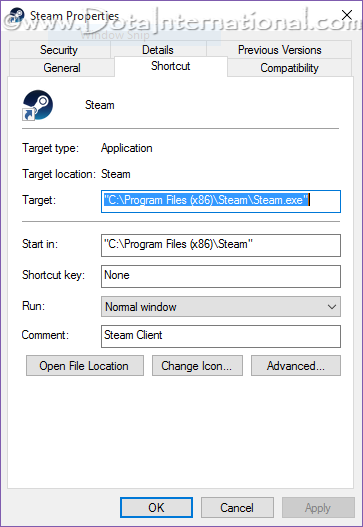 You can locate those files in C :/Program Files (x86)/Steam /SteamApps/Comom/dota2beta. Here is how those files look like. Just try and tell us in comments below how much space you have got back? In case your C Drive is full of stuff and even after trying so much you can not get free space in it, then you need to install in any drive other than C Drive. This can be a harsh but more stable solution. Here is how you can do it. Click on Install button in Steam. When you will install it, it will ask you where you want to install it? Then you should give it the path to another drive where you have got enough free space. Dota 2 needs only 13 GB of Disk space, but it is advised if you can keep almost 25 GB free space for Dota 2 for upcoming updates etc. With this method, you will also erase all unnecessary files from Dota 2 Folder which actually occupied space in your hard disk. For example, if you just check out your Steam folder, it will be minimum 20 GB plus. But actually, Dota 2 is of just 13.7 GB. So what are rest of those 7 GB files? Those are just junk files that are stored on your computer regularly after each update. Once you will install a new copy of Dota 2, then only almost 14 GB space will be consumed and you will free another 5-10 GB of space for sure. Make a back up of Dota 2. 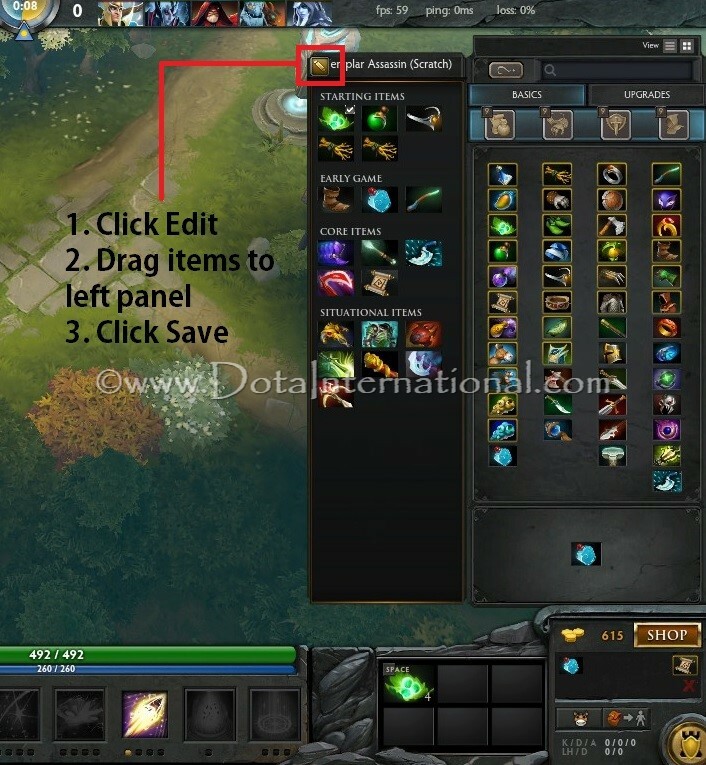 Here is how you can make a back up of your Dota 2. Now restore the backup. You can follow the link above to restore the back up too. Now while restoring the backup, install it in any other drive. This method will take only 30-40 minutes, but it is just like copying all files from one drive to another. So you may not get rid of useless and junk files which have piled up in your system for a long time. Even if you have an awesome internet connection, still you should not run parallel downloading while playing Dota 2 online. It will eat out your bandwidth and data packets. The result may be high pings and may be packet loss too, thus lags and delay. That is why it is highly recommended to shut down all torrent and other download managers. Well, it will not hurt to open notepad while playing Dota 2, but it will definitely hurt if you open Adobe Photoshop along with Dota 2. It will put lots of burden on your CPU, RAM, and graphics cards. Thus your FPS may drop and you may have a laggy experience. So it is suggested that once you start Dota 2 for Online gaming, do not forget to shut down heavy programs. Windows 10 is not like other operating systems of windows in many aspects. There are many good features in it but for gamers, it is really a pain in the a**. 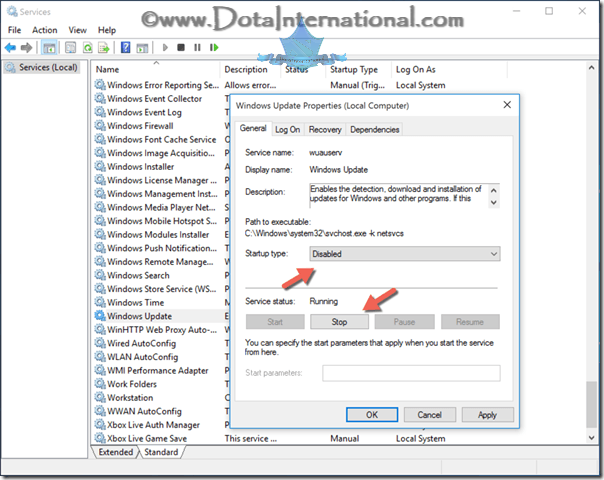 I have written a complete article about Dota 2 on Windows 10 – Problems and Solutions, which you MUST read if you are running Dota 2 on windows 10. If you are facing regular Dota 2 crashes, then you need to read this guide to fix your Dota 2 Crashes. It gives you almost all the solutions to the Dota 2 crashing problems. Give it a go. You may have an excellent gaming PC for playing, but you need to optimize your settings especially video settings so that everything works perfectly. If you have good Graphics Card and RAM, you can play Dota 2 on high settings. But in case you don’t have a high-performance system, you will have to optimize your settings. In the game, graphics should never get priority over in-game performance. So you must first fix the performance issues, then you should go for good graphics. Resolution: You must select appropriate resolution for your Game. Do not forget to select option “Exclusive Full Screen” under Display Mode option. If you do not understand how to use Resolution settings then its best to select the topmost option “Use my Monitor’s Current Resolution“. It is advised to keep Low Texture Quality and High Screen Render Quality if you have low specs PC. 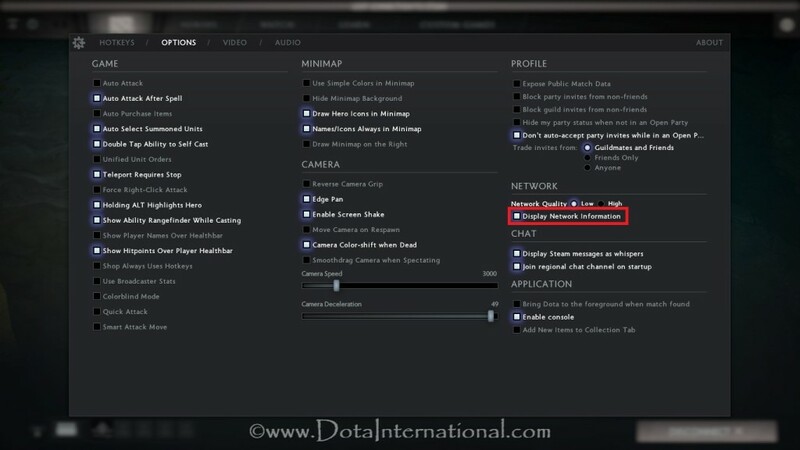 You must enable Network Information while playing Dota 2. It gives you an insight of game while playing. For example, if your Pings drop while playing, that means it is your network issue, you need to fix your internet. But in case if your FPS drop, that means it has nothing to do with your internet, rather it is your PC. So you will fix the PC problem in the latter case. That is why it is always advised that you keep the network information active. 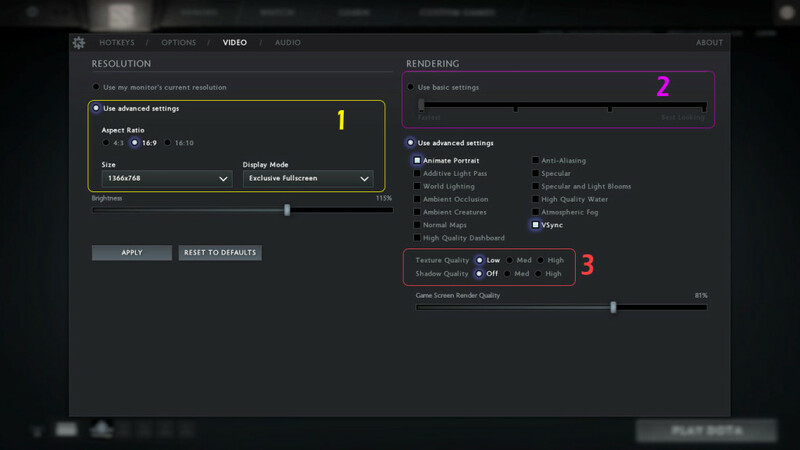 In Source 1 Dota 2, you had to enable it via Console, but thanks to Source 2 engine, Dota 2 Reborn has an option in settings using which you can Enable FPS and pings. After settings are saved, you can see FPS and network information like this. Sometimes it may be your internet providers and sometimes it may be steam which may be causing high ping and lag issues. Obviously, you can’t perform well if you have high pings or lags. I suggest you use WTFast. It is a software specifically developed for the sole purpose of reducing in-game ping and lags. I think the title says it all. You can never know which hero is coming to gank you if you look on dots in mini-map. But if you have turned on the option to show Hero Icons instead of dots, you can plan your next move in advance. Let’s suppose enemy Zeus is coming to gank you. You saw some random dot in mini-map, you don’t know its enemy Zeus or enemy Pudge. So you will definitely try to stay away from that hero to save your self from ganking. But in case you turned on the hero icons, you will know precisely which hero is coming for ganking. So you can actually ambush that hero instead of going and hiding. Just simply I will say, it is better to know who and what is coming at you in Dota 2. Here is how you can turn on Hero Icons in Minimap. Here is how it will look after you have enabled the hero icons. So tell me which one looks better as per ease of game point of view? Add “dota_minimap_hero_size 1000” in your console or autoexec.cfg without quotation marks to increase the size of hero icons. 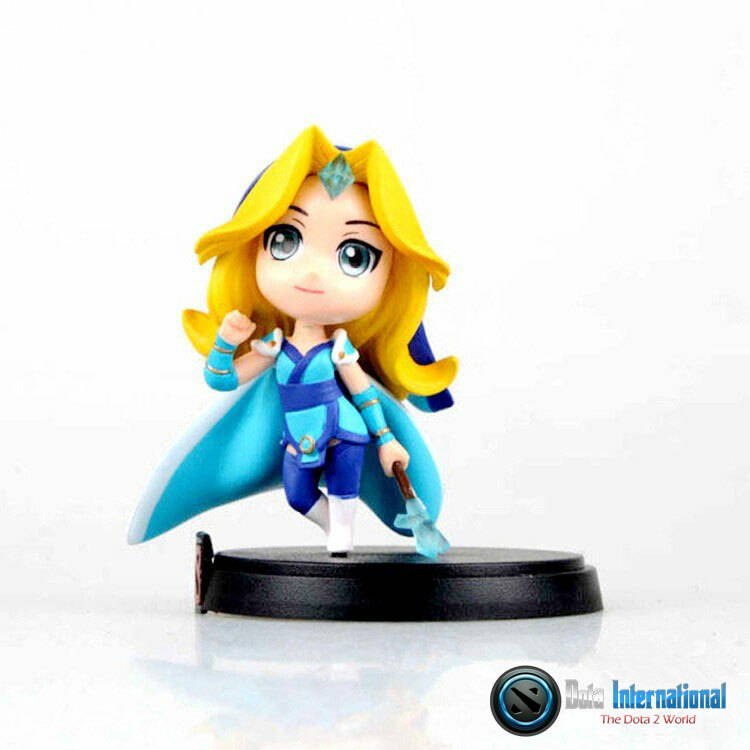 For more details see Step 2 in Optimize Dota 2 section. Adding items to quick buy is always a good idea. Whenever you have enough gold to buy any component of that item, you will hear a coin drop sound which will tell you that now you have enough money to buy it. Simply press Quick Buy key to buy those items. This is especially helpful when you are about to die and have enough gold to buy a certain item. Buying item just before item will reduce the gold you lose on death. This is one of the tricks to save gold. First, select a Quick Buy key in setting menu as shown below. So once you have set up the quick buy key, drag any item in quick buy area. So when you ever you have enough gold, just press the quick buy key, it will buy the 1st available item for which you have enough gold. If you don’t know, you can customize the suggested items for your hero. This allows you to have items ready to purchase instead of searching the whole shop. Once you play any hero, in before battle begins, it gives you enough time to decide what items you will be needing in this match. So customize your shop accordingly. Or you can have a perfect shop for 1 hero and all the items in shop’s left that you can possibly make on this hero. If you see in above image, I have added all possible items which I can EVER make for Templar Assassin in a game. Now no matter how my game goes, it will be easy for me to select and choose items from the market and add them in quick buy area. Being in communication is an important part of coordination which you need during the game. Most of the users prefer to use Skype for this purpose. If you are not aware of the fact that Skype consumes the most data out of 10 tested apps. This is just to give you an idea and obviously steam is not in this test. But if you want to read this research in detail here is the link. I suggest you use Steam inbuilt chat and voice chat feature, that is enough for you to communicate with all of your teammates. It also consumes less data and bandwidth for obvious reason about which I am not going in detail here and also you will not have to open any other program for just chatting purpose (See section 1 step 5). Here is how you can start a voice chat with any of your friends if you don’t know it already. If you have automatic updates enabled for games on steam, it will start updating whenever there is an update. No matter even if you are in the game. So it is obvious that downloading during a game-play will sabotage your internet connectivity for the current game you are playing by stealing data and bandwidth. if you don’t have an awesome internet connection it is a guaranty that you will face high pings and lags during the current game. So it is also suggested that you keep all background updates off for all the steam games including Dota 2. Here is how you can Turn off Background Updates for All Steam Games. 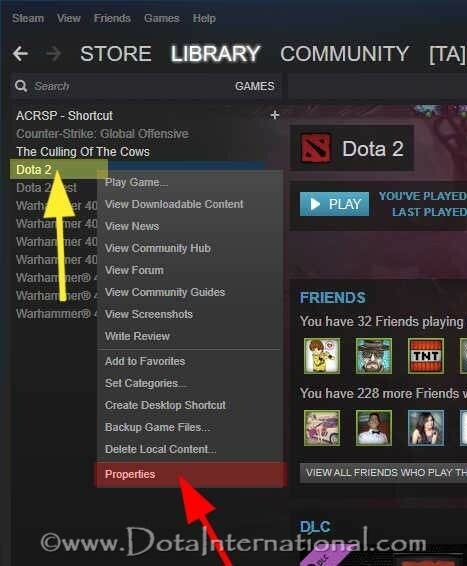 Go to the main Steam window, right click on Dota 2 (or whatever game you have) and go to Properties. A new window will open. Go to the 2nd tab which is Updates. Go to background updates and select “Never allow background updates“. I have researched for almost a week and then chose what to be added to this guide. There might be some of the important stuff that I did not find or I did not include it. You are free to let me know about that in comments below. I’ll add that if that stuff is good to be added to this guide. It took me almost 10 days to complete this guide so you may like to see the bigger picture and appreciate it instead of criticizing it for nothing like a douche. Before I tell you what are best console commands, let me first share some basic information with you. 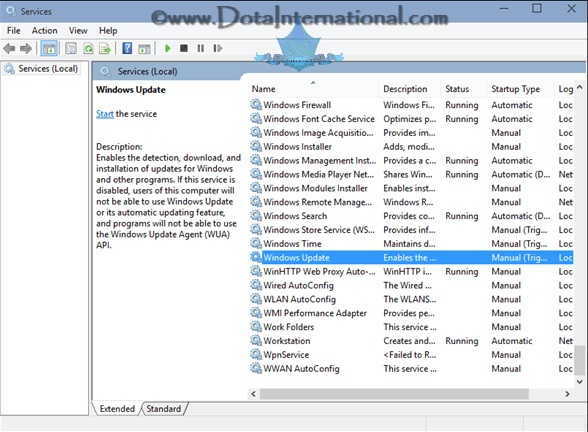 Dota 2 Console is a window which opens in Dota 2 game just like command prompt in any windows. 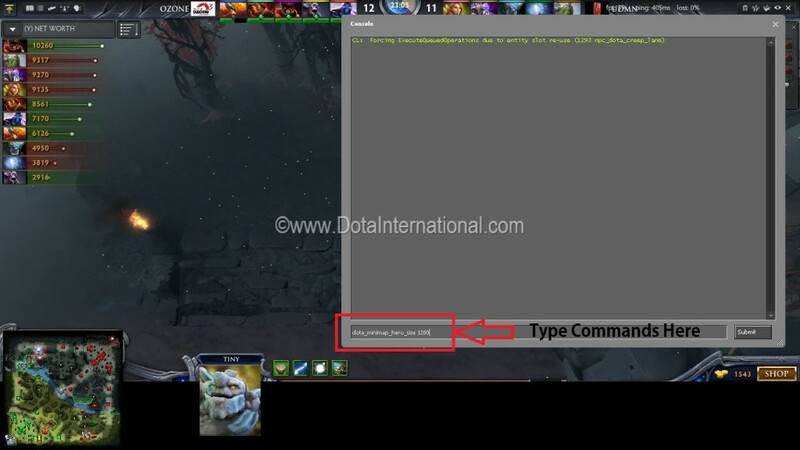 It allows users to add different commands to change anything related to Dota 2. You can add those commands via Dota 2 Console, or you can use them in autoexec.cfg file. 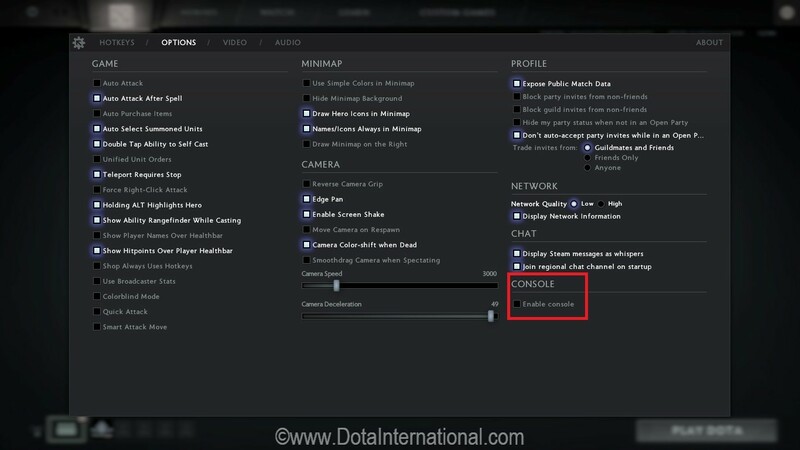 In old Dota 2 there was a long procedure to activate and use Dota 2 Console, but in Dota 2 reborn, its simple. Sign in to Steam and launch Dota 2. Now go to Hotkeys and there select any key for Console. When in game, you will press that key console will appear. If you want to close it, then just press that selected key again or click X icon on the top right corner of the console window. If we want to use lots of commands in our console, then its very difficult to type lots of commands each time we start Dota 2. So we can automate that process by adding a new file in our Dota 2 folder. That new file we add is “autoexec.cfg” and we add console commands in it. Each time game starts, this file automatically executes all those commands which are written in autoexec.cfg file. To make things easy I will suggest you go to Control Panel >> Tools >> Folder Options >> Uncheck – Hide extensions for known file types. First of all, go to your check if your operating system is 32 bit or 64 bit. Then choose the appropriate path. In case you have installed the game in any drive other than C, then you should just go to “dota 2 beta >>dota >>cfg”. Once new text document is created, name it autoexec.cfg and then press Enter. So now we have created a blank autoexec.cfg and now it is ready and it has the necessary file type. Now you must open it with Notepad where you can add or delete your required commands. When you play your first game, whatever commands you added in your “autoexec.cfg” will also be added automatically in your main configuration file which is “config.cfg“. To stop Dota 2 from doing it, right-click on config.cfg >> Properties >> Attributes >> Read-only. So, now you may ask, what are the commands that I need to add in autoexec.cfg. So you can see below, these are the best to use commands in Dota 2 and most of the commands are used by Pro Dota 2 players like Funn1k and Arteezy. If you want to their files, you can just download the autoexec.cfg files used by these pro players, or you can make a new file for yourself and use whatever you want. Here is a list of Dota 2 Console Commands which had ALL the commands. For now, I will write down below about console commands which Na’Vi Funn1k and Arteezy use during the game. I will also explain what those commands actually do and why should we use it. Copy commands after line below. These are old commands to activate network information which Funn1k and Arteezy used. But these commands are no more required. 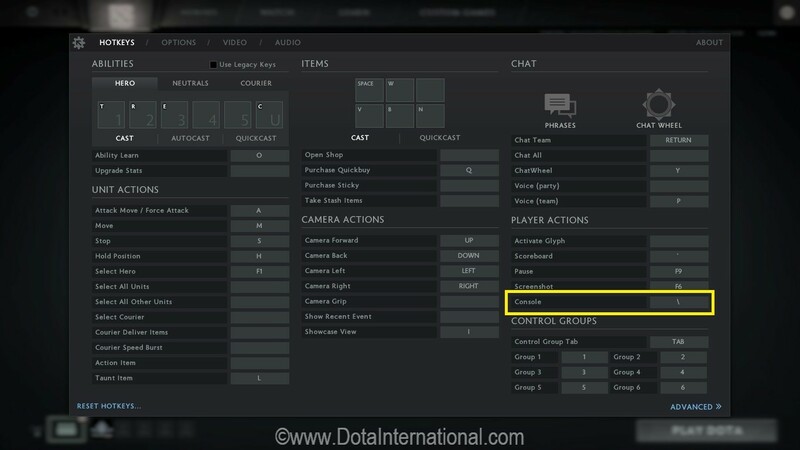 Now in Dota 2 Reborn, you can activate it via your Dota 2 settings. Simply go to Dota 2 >> Settings >> Options >> Check show network information. See image below for easy understanding. rate “80000” – Max bytes/sec the host can receive data..
cl_updaterate “30” – Number of packets per second of updates you are requesting from the server. cl_cmdrate “30” – Max number of command packets sent to server per second. cl_interp “0.05” – Sets the interpolation amount (bounded on low side by server interp ratio settings)..
cl_interp_ratio “2” – Sets the interpolation amount. cl_smooth “1” – Smooth view/eye origin after prediction errors. cl_smoothtime “0” – Smooth client’s view after prediction error over this many seconds. mat_vsync “1” – Force sync to vertical retrace. r_screenspace “1” – smoothing is on. con_enable “1” – console is activated. fps_max “120” – Frame rate limiter..
cl_showfps “1” – Draw fps meter. FPS (Frame per second). volume “0.5” – game’s volume. snd_musicvolume “0” – music’s volume. 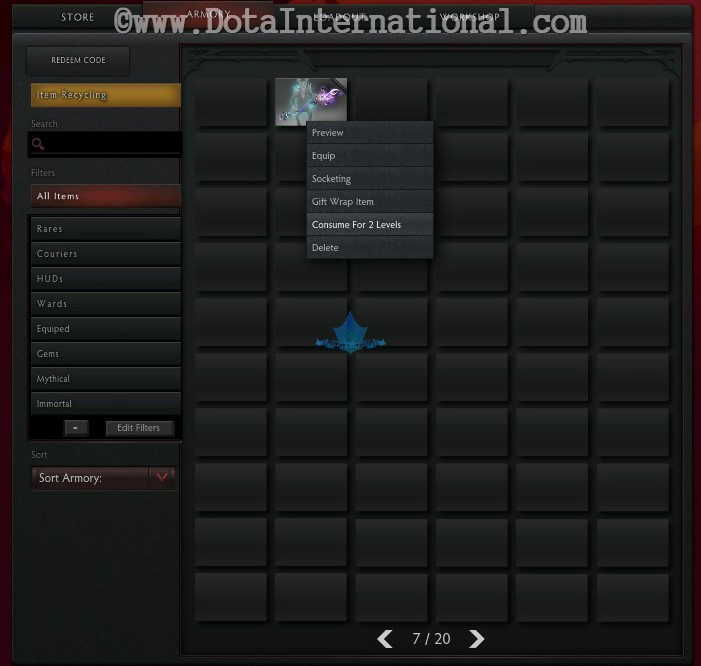 use the console command “dota_import_steam_inventory_layout” without quotation mark to import your Source 1 inventory placement as it is. 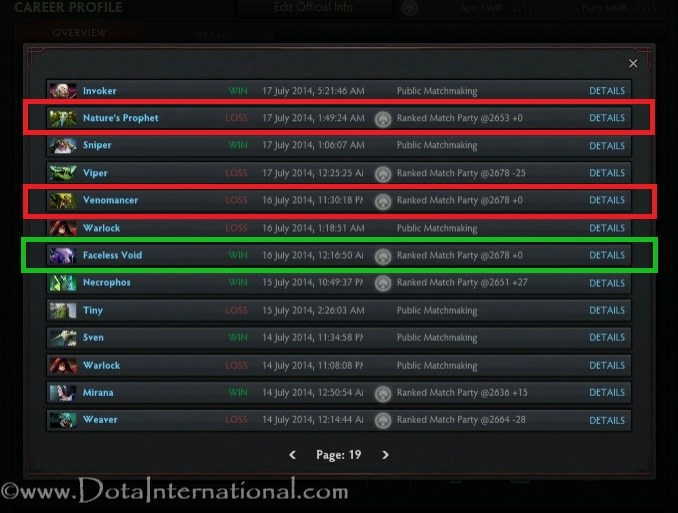 It means, the way you placed your items in Source 1 Dota 2, will be added in your Dota 2 Reborn. 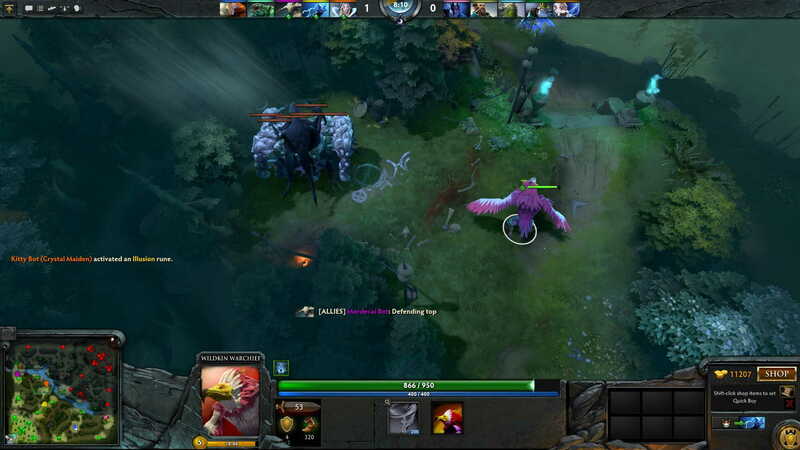 Dota 2 Reborn is facing many problems including lags, bugs and nowadays almost all Dota 2 Gamers are facing a new issue. When they start the game they receive an error “Connecting to Dota 2 Game Coordinator“. 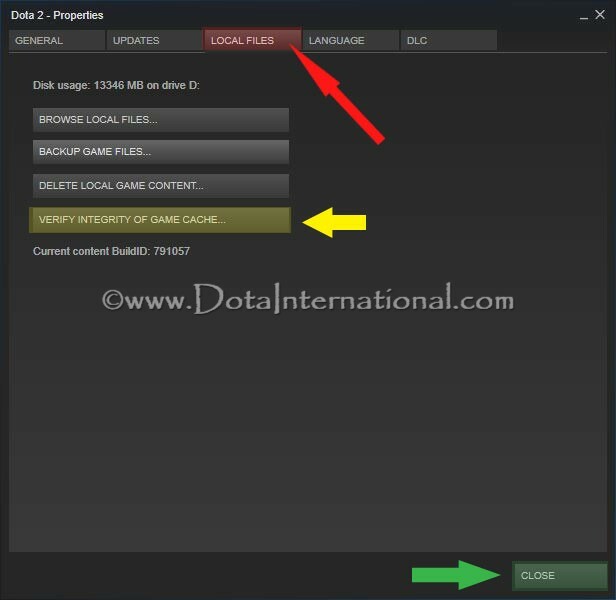 With this issue, users can not find any game normally and it is like your Dota 2 has not connected to Dota 2 network. 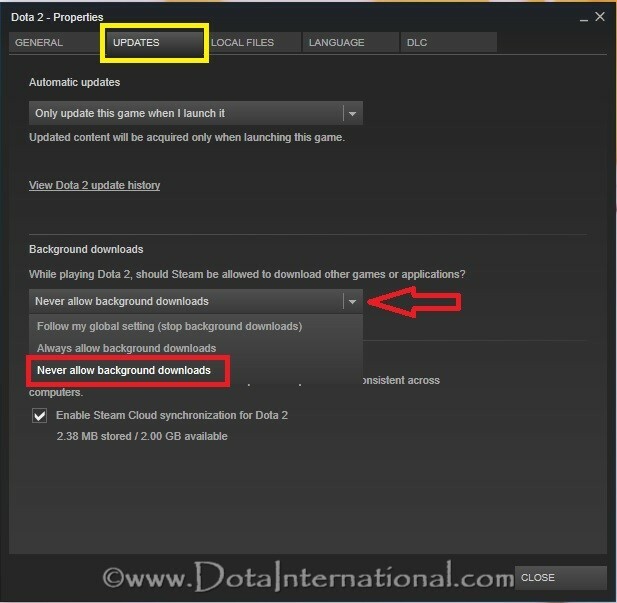 So here are a few tricks which can fix your “Connecting to Dota 2 Game Coordinator” issue. It is also possible that next time you launch Dota 2, you may face this issue again. 1st 3 methods are temporary solutions whereas method 4 and 5 are permanent solutions. Right now if you think that there might be some fix by official Dota 2 developers, then you are wrong and you may need to wait for a long time to get a permanent solution from Steam + Valve. 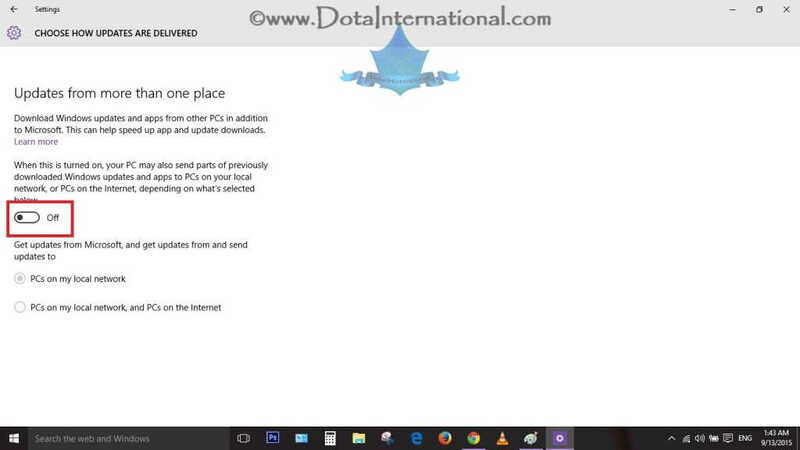 Follow these simple steps to get rid of Connecting to Dota 2 Game Coordinator issue. 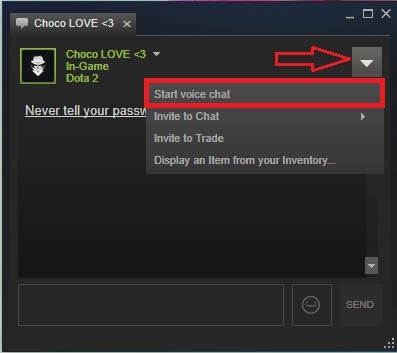 If your Dota 2 Start with “Connecting to Dota 2 Game Coordinator” error, then click on “Play Dota 2” in the bottom right corner and select “Practice with Bots” and in next option select “Solo”. Now start your game and select any hero. 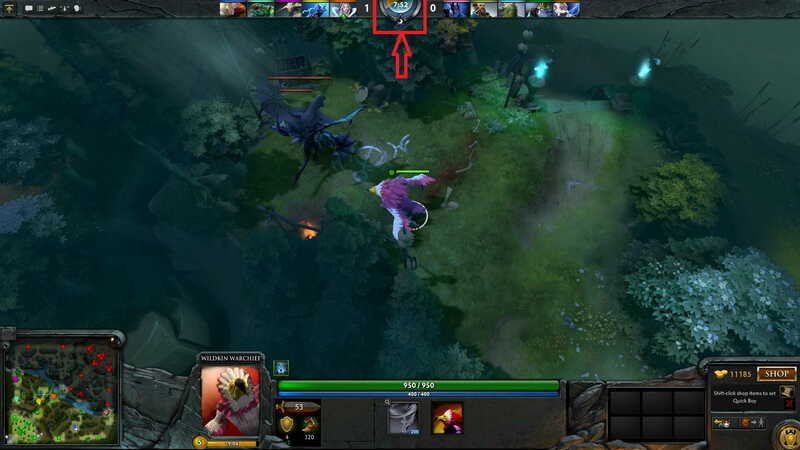 Now come to main Dota 2 Screen by pressing the Down button in top left corner while you are in the game. Disconnect the game by clicking on the “Disconnect” button in the bottom right corner. Alternately you can also get rid of this issue by Going to Learn tab and then starting a Learn game in the left-most column. You will have to follow all steps from step #3 – 7. If you do not understand anything given in the above lines, then just watch this video below and I hope this issue is solved for you. This may sound strange to you but its one of the best and permanent method to get rid of connecting to Dota 2 game coordinator error. Download this software WTFast for free. Run this software and then run your game and start feeling the difference. Annoying connecting to Dota 2 game coordinator error will be gone forever. How? This is a software specially developed for the sole purpose of reducing pings, lags and improving the connection with game servers. You have the option to use different servers if one is not working. This way, if one server is down, no issue, you can connect to another one. 1. If Dota 2 and Steam are running, close it. 6. Now launch Steam then start Dota 2 normally. If your Dota 2 is running, close it. Now, open Steam and then click on the Steam tab at the upper left corner of your screen. Click on settings. The setting menu will pop up now. Click on download at the left side of the menu. Find download region and change to any other server and click ok.
Now restart steam and finally change your download region back to original one. Although even if you do not change, it won’t make much of a difference for small updates. I have not tested this method personally. You can try this method and if it works, please let us know in the comments below. Search for Dota 2 in the Steam store by typing Dota 2 in the search bar or just by clicking this link. Click the “Play” button and hopefully everything will be fixed. Credits for method 5 and 6 go to the comment posters below. If none of the above methods works, that means Dota 2 servers are down. There is nothing you can do to fix it except waiting for these servers to get fixed by Valve. Most of the times it takes 2-4 hours for steam servers to get back online but it can also take more time. In case you experience frequent Dota 2 crashes while loading the game or during the game-play, then you need to read this article. You can follow all applicable solutions. These solutions are good for almost all operating systems. In case you face any issue in any of the steps, you can contact me and I can help/guide you with it. I have tested all these methods and those all work perfectly for me. It is not necessary to apply all the solutions, but you can apply as many as possible or needed. Open Steam and click Library. Right-click Dota 2 and select “Properties”. A New Window will open like the image below. Click “Set Launch Options” as highlighted below. If there is there is any other lunch option already present, remove it and type “-autoconfig“. Click OK and start your game now. Still, if you get crashes after Auto Config mode, you should try “Safe Launch Mode” the same way as we did above. Repeat Steps 1-2 from the above paragraph. Click “Set Launch Options“, remove existing value (if there any) and type “-safe“. Click OK and restart the game. It will start your game in safe mode with normal settings and most probably issues will be fixed. This seems to be very geeky fix, but actually, it is not. Sometimes Dota 2 does not use the full potential of your CPU properly and you do not get enough power to run Dota 2. Therefore it crashes. Process Affinity can be changed very easily and it gives your game full power of your CPU and Processors. Start Steam and Start Dota 2. Press Alt + Tab or Windows keys to minimize Dota 2 and switch to your desktop. 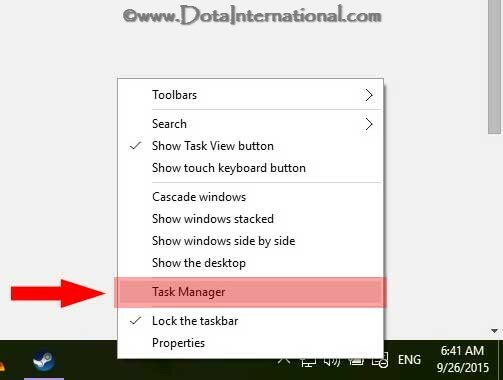 Right-click the Taskbar, select “Task Manager”. If you are running Windows XP, Vista or Windows 7, then you will have to click the Processes tab. Windows 8 and Windows 10 users to click the “Details” tab. Find process “dota2.exe“. Right click on it and select “Set Affinity” as you can see in the image above. A New Window will open from where you can select how many CPU cores you want to allow Dota 2 to use. Select all cores available. As can be seen in the image below. Then click “Ok“. 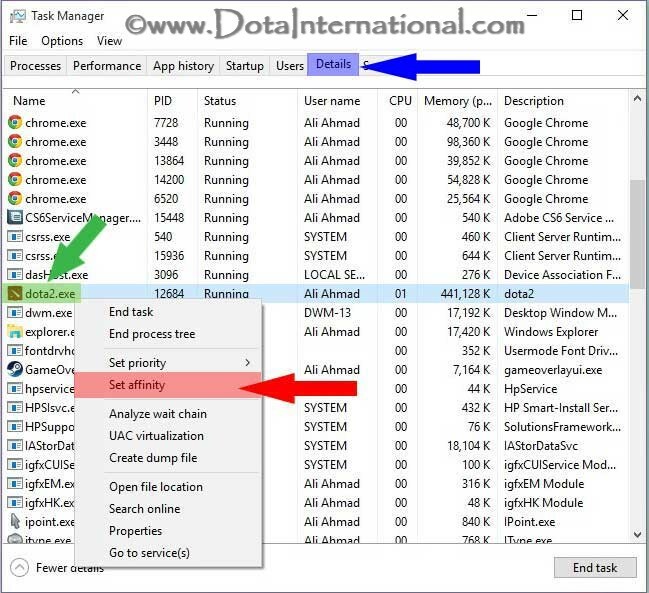 Close Task Manager and Check your Dota 2 now. It should fix your Dota 2 crashes problem. NVidia Control Panel contains several graphical settings. You should set recommended settings in it because that works perfectly for most of the users. In case Recommended settings don’t work for you, you can always try other settings to tweak what works best for you. Next click NVidia Control Panel. Now click “Select a Task” on the left-hand side panel. Click 3D Settings then in next window click Manage 3D Settings and in next window click Program Settings. Click “Add” button under “Select a Program” category. Same Settings can be applied for ATI Radeon graphics cards as well by following almost the same steps as of NVidia Graphic Cards. If you do not have dual graphic Cards, then you should leave this step and skip to the next one. Nowadays almost all the PCs and Laptops have 2 graphic Cards by default. What happens is, one graphics card is of ATI Radeon or NVidia and other is built in your motherboard, which is normally Intel HD Graphic Card. If there are 2 Graphics Cards in your system, then there must be an option in your BIOS settings from where you can tell your CPU about the way it should use your Graphics Card. Sometimes these graphics card issues also cause Dota 2 crashes. In this step, we will disable the switching process. We will make sure that our secondary Graphic Card (ATI Radeon or NVidia) should be used is more powerful. Go to BIOS settings by pressing F2, F12 or Delete key (Whichever is applicable to your system). BIOS Settings page will open. Search for a setting called “Switchable Graphics“. Select Save settings and exit. Start your Dota 2 game. Click Settings in top left corner, then come to Video Options. Set lower Texture and higher Render Quality. 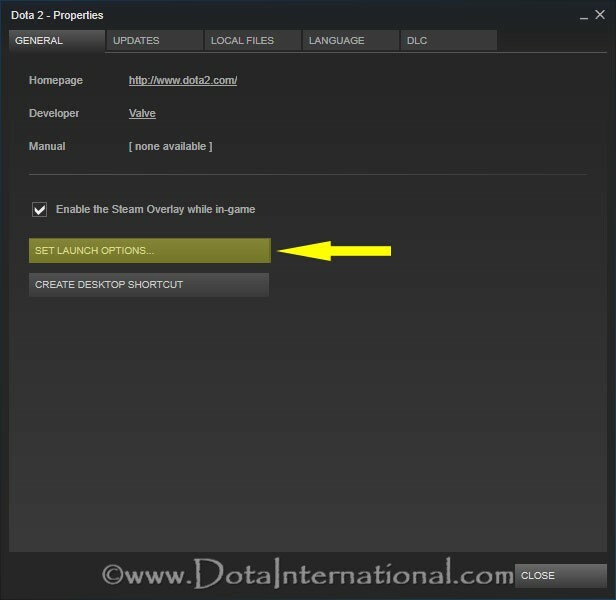 Click the Save Settings button, exit and restart your Dota 2. Verify integrity of the game cache files. 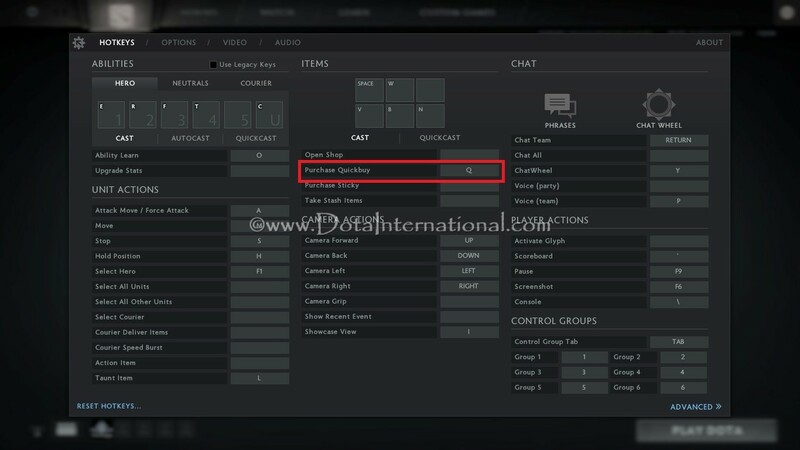 Right-click the Dota 2 and select Properties. In top Menu, click on Local Files tab. Then select “Verify Integrity of Game Cache“. You must ensure that the game is not running at the time you are verifying the cache Files Integrity. Once the process is complete, click OK and you will be good to go. Sometimes Dota 2 crashes due to corrupt files. These may be corrupt Steam files or it may be corrupt Dota 2 Files. So let’s try the small solution first. Go to Control Panel, then Programs and select Uninstall a Program. Uninstall steam completely. 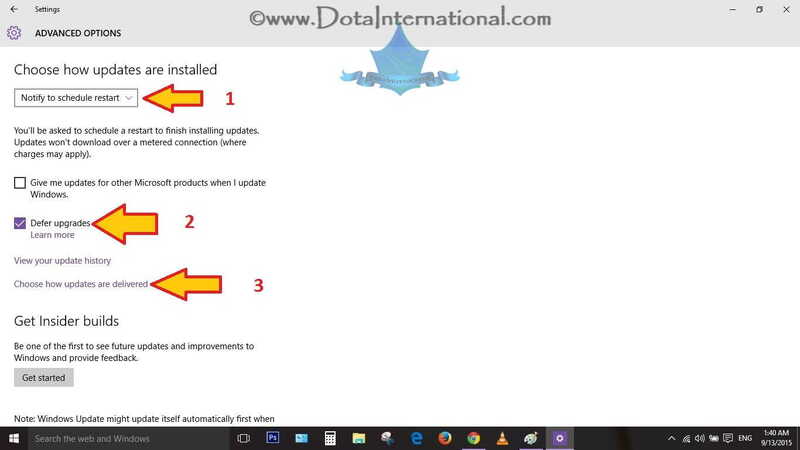 Do not uninstall your Dota 2 at this step. I am just talking about reinstalling steam. Don’t worry, if you uninstall steam nothing will happen to your Dota 2 files. Go to Official Steam Site and install a new copy of Steam and once you have installed, it will automatically pick Dota 2. If you want to be safer, then you need to copy your Dota 2 files to some other drive. You can find your Dota 2 Folder in C:Program Files (x86)/Steam/SteamApps/common/dota 2 beta. 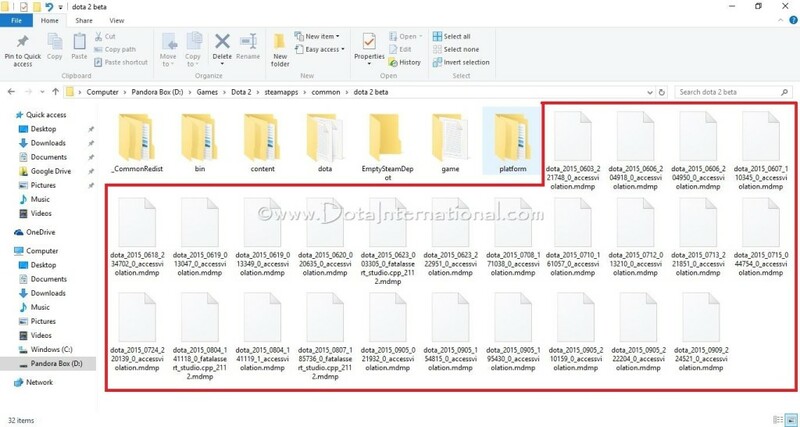 This folder “Dota 2 Beta” is the main folder which has all your game-related files. If all above methods fail, then its time to take the sour pill. You have to uninstall and then reinstall your Dota 2 and Steam. It will hopefully fix your issues. 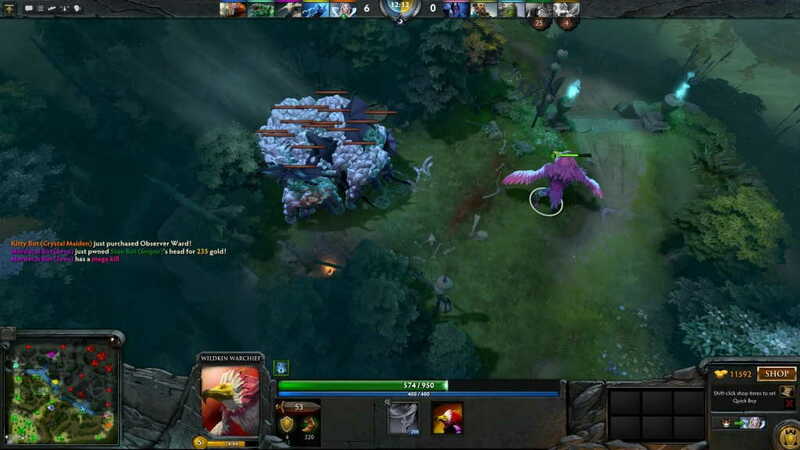 The complete process of Reinstalling Dota 2 with the backup method is explained here. 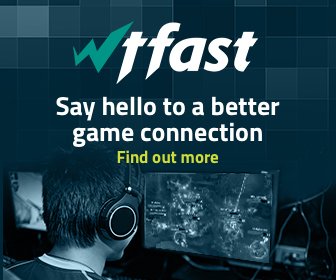 WTFast is one of the best VPN software which is designed to reduce your pings and packet losses. It also takes care of your lags issue. If your game is unplayable even after changing your ISP, then its time for you to take it for a spin. The good thing is, it offers a free 7 days trial version with full options. 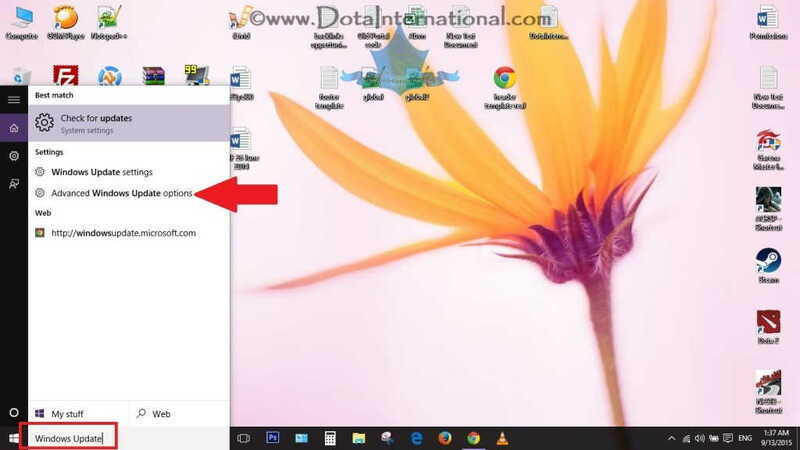 In case you are running Windows 10, then you should also have a look at this article Dota 2 on Windows 10 – Problems and Solutions. It will surely help you fix your lags and delays issues. Microsoft has released their most awaited product Windows 10 on 29 June 2015. However Windows 10 did not satisfy most of the gamer because of its inbuilt problems. Here I will give you an analysis of Dota 2 on Windows 10 – Problems and Solutions. Microsoft has changed the way window will update now. Although this method is old but it was never expected to be implemented in Windows. Now Windows 10 update system works exactly like Torrents work. That is a funny thing that Microsoft is against torrent system, but they them self implemented same in their product. Well that is another debate and lets leave it there. So coming over to the issue. How Windows Update Worked earlier ? All the downloadable files were present on 1 central server and when downloading you connect to that server and simply down load it to your PC. It was 1 to 1 connection. But now the system is different. How Update Works in Windows 10 ? 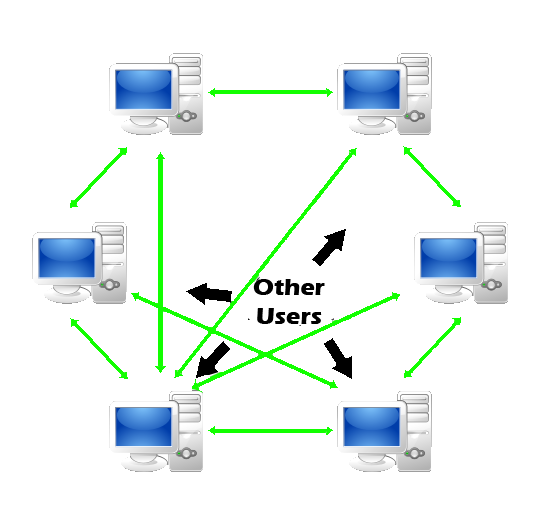 It uses peer to peer network system. So if we talk in easy language, there is no central server where file is hosted. All users with Windows 10 are connected via internet in form of a network and they download bits and pieces of each update from other user’s computer. Image below will help you understand it. So in other words, Windows has forced you to update other user’s computers too eve if you don’t want. How does this cause problems for Online Gamers ? Obviously when you are connected to internet and someone is downloading his Windows update, there are many chances that you computer is helping him download his update by uploading update from your PC to his. So that means your bandwidth and data is being stolen. So, now you might be thinking, WTF, I am just going to disable my Windows update so at least I don’t get lags and delays. Well there comes another interesting problem. You can not turn off your Windows 10 update system completely. It is almost forced update. Funny ..!! Isn’t it ? So another issue about window update is that you can not schedule a window update. As soon as some update is available and you are connected to internet, your update will start automatically. Yes !! Without even asking you. They dont care if you are in middle of a gank or you are trying to evade a gank in game, they will shove this update up your a**. As it is a totally brand new operating system, therefore many software and drivers don’t work properly as it used to work on Windows 7 or 8 variants. However most of the hardware companies immediately released updates to their drivers on emergency basis that are compatible with window 10 but still, there are many old pieces of hardware which do not support Windows 10 and its drivers are still not updated. If you are using some latest equipment, then this might not be an issue for you, but in case you are using old system, then you might be having lots of troubles. 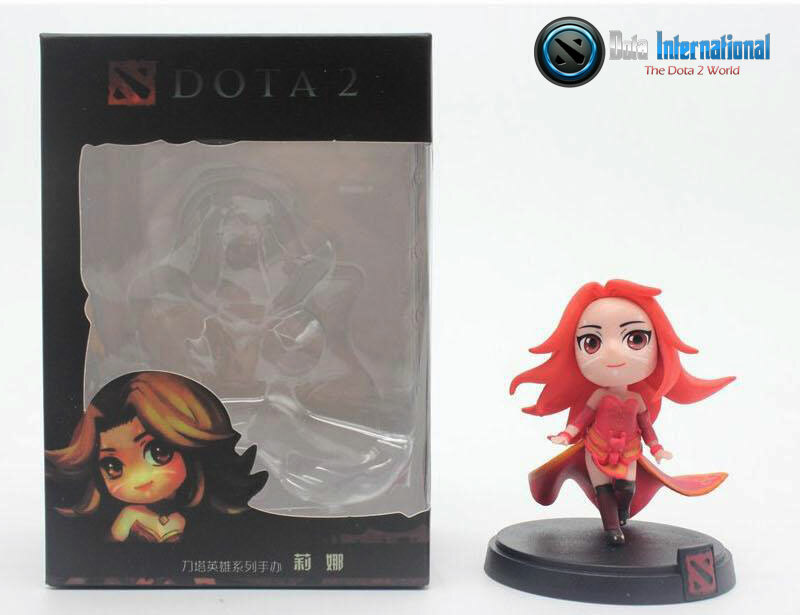 Dota 2 has shifted completely to Dota 2 Reborn on 10th September 2015. Old Dota 2 which was running on Source 1 engine is gone now. 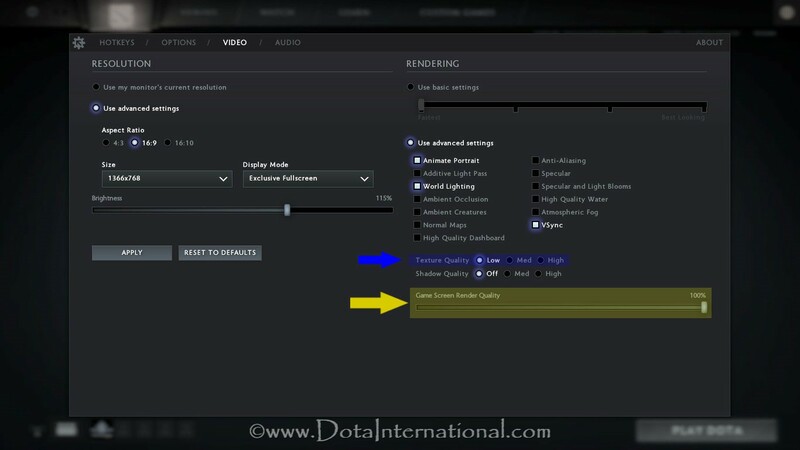 Although valve stated that Dota 2 Reborn will work properly on all the hardware even if those are old. But personally speaking, I cant play with Dota 2 Reborn without my AMD graphic card. I removed my graphic card and tested with Intel Integrated HD 4000 Graphic Card to check if I can play, but I failed miserably because I was getting 20-30 FPS in Dota 2 with lowest settings. Obviously that does not work. So I had to install my graphic card again to play. Dota 2 reborn has many bugs to date and valve is releasing continuous and frequent updates to fix the bugs, but in my opinion it will take almost 2 months or so for Dota 2 reborn to get completely stable and almost bug free. 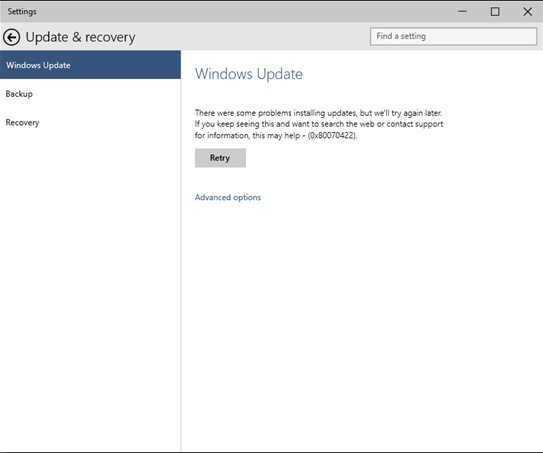 To avoid sudden lags and delays because of internet issues, the best thing you can do is to simply disable the Windows Update service. To do so, type “services” in the Windows 10 search box and click “View Local Services”. Navigate to “Windows Update”. After double-clicking the service, you can stop it and disable it so it won’t be bothersome again. I also suggest you get hold of this software WTFast and use it to start your game. 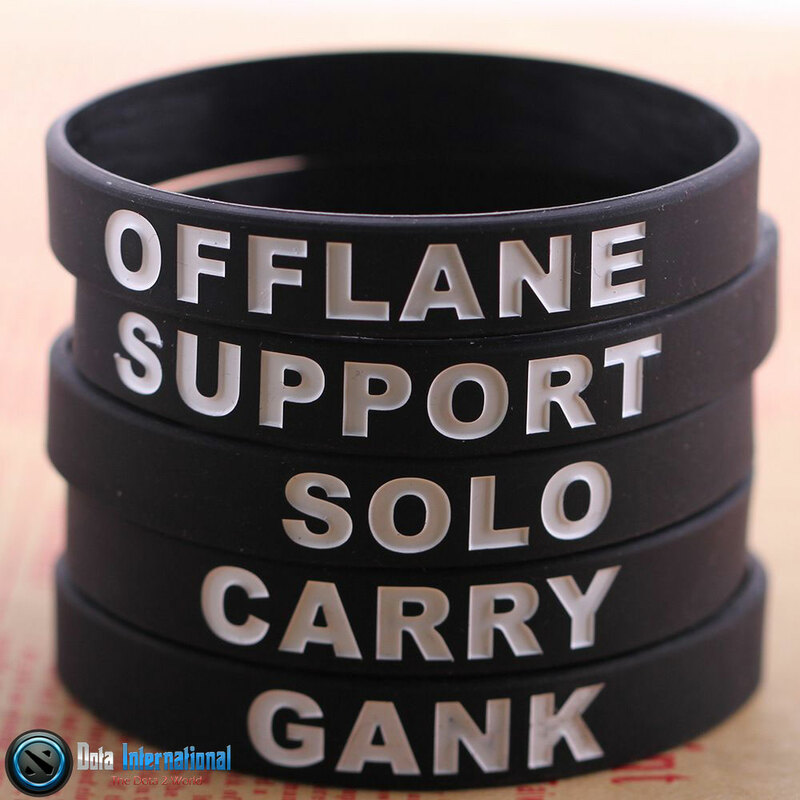 It can definitely reduce your ping and packet loss issues. Check out images below for more details. Now if you want to check if this really worked for you, then simply click on “Check for Updates“. It will give you an error message. So now you have got rid of Windows update permanently. No need to worry about your Windows 10 updates anymore. If you want to enable Windows 10 updates back for any reason, simply follow above-mentioned steps and this time instead of Disable, select Enable option. It will start your regular Windows 10 update system. Well, if you say “Nope, Thank you very much, tell me another way to fix it”. Here is another way. Type “Windows Update” in your search bar and select “Advanced Windows Update“. Another window will open where you can change Windows 10 Update settings. Lets go step by Step. Please image below for complete details. Each point highlighted on image is explained below. You can tell windows now to install updates for you. However, Microsoft is a stubborn kid and won’t listen to you carefully. So even if you defer updates it will still install security-related updates. However, it will just defer those updates which are related to functions and features of Windows 10. This is what Windows 10 Official says about Defer Updates. Now click on “Chose How Updates are Delivered“. It will open a new window in front of you and you can choose how you want to get updates. The best option is to switch is off. This way, problem 1 will be solved. Now you will get updates straight from Microsoft and also you won’t be helping other people. For Problem 4 and 5, you need to wait for stable Window 10 and Dota 2 Reborn Client release. In case you have other issues/suggestion, comment below so we can talk about those. In case you have any question or you are stuck on any issue, feel free to comment below so we can help you. However, if you are playing with any hero who does not have “His Owned Creeps “, you can use “Helm of the Dominator” to dominate a creep to stack the ancient creep camp for you. This is same how you stack other Neutral Creeps. How and When Creeps Re-spawn? Once Creeps have been killed in a neutral camp, new creeps will re-spawn when minute completes. If the last creep dies after X:54 time, then no creeps wave will re-spawn at next minute mark. So that means, if you want that camp creeps to re-spawn again at minute mark, then you need to kill creeps before X:53. X here means any minute. Mechanics changed now. Now creeps will respawn even if you kill the creeps at X:59 provided you are not in the camp range to block next spawn. So let’s see how it is done. Basic idea is that you pull the neutrals away from their camps at about x:50 – x:54 of every minute (X means any minute). That way, when the game checks if the creeps are there each minute, it will think that the creeps have been killed and will, therefore, spawn new creeps. Dominate a creep if you have not done it yet. Prefer to get some high HP creep so even if Ancient Creeps attack it, it should survive. Any creep dominated by helm of the dominator will have 1400 HP. Get your hero to a safe place where ever you are, or otherwise enemy may gank you once you are busy stacking creeps. At about x:51-x:52 mark, ask your dominated creep to attack the Ancient Creeps, but try not to actually attack, just give attack command, or your creep might die. Start moving your dominated creep out of Ancient Creep camp. Ancient Creeps will follow you. You have successfully stacked 1 ancient creep wave. Now keep repeating the above steps for the next couple of minutes, and you will get lots of Ancient Creeps stacked in their camp. You can now kill them for a huge gold bounty. This is best done with a hero who has some form of splash attack / AOE attack damage so you can kill the neutral camps quickly. When stacking the first couple of times, do it around x:53. When more creeps are there, you have to do it around x:51-x:52 to make sure all of the creeps get out of the way before 1 minute. Do not try to kill Ancient Creeps in early game or you will get killed easily. No, I mean literally NO hero can kill 3-4 stacked Ancient Creeps at the 5-minute mark. Wait for some decent and appropriate time and then farm. Keep an eye on the enemy too, or their carry might steal all your stacked Ancient Creeps and you will lose all the effort and hassle not mentioning gold bonus to enemy carry. Try to Dominate some high HP neutral creep. Only do this when your supports refused to help you farm (Happens mostly in Pubs). Farming is extremely necessary in Dota 2 even if you are a carry or just an offlane support. However, it is extremely necessary for carries to farm fast to get some considerable edge/benefit in the game. But a farmed support does not hurt too. Farming of carries and farming of support are 2 entirely different things, which I will cover in another article some other time. Here I am just going to explain how can you farm fast and good. Remember: Dota 2 game is not about Farming ONLY, it’s about winning. Dying means you waste your farmed gold and give to your enemy thus creating a gold and experience difference. Learn how to play safe. BurNinG, one of the legendary carry and farmer, will always stay away from creeps if he doesn’t see the gankers on the map. He knows how crucial it is if you’ll be killed in the game. This also does not mean that you should stay hidden all the time. Farm in lanes and keep your eyes on the map, if your enemies are missing from the map for more than 5-10 sec, it means, either they are coming to pick on you or they are at Roshan. In both the cases, you must think of your next move. Practice will improve your timing when will you attack the creep that will guarantee sure gold. One way is playing in single player mode and try to have 100 creep kills (kills + deny) in 10 minutes. Doing this often will make you expert in last hitting thus a speedy farm in real games. Another practice can be playing against 5 Insane Bots. Bots are programmed to have perfect last hit and deny. If you can farm against 5 AI’s effectively, it would be easy for you to farm against most of the human players. Last hitting tower will always give extra gold, which is enough to give you a considerable farming boost. The moment your hero makes a move for attack and the moment your hero’s damage is dealt is known is hero attack animation. It can be slow (Like Dark Seer), Normal (Like most of the heroes) and Fast (Like Sniper, Faceless Void, Anti Mage etc). So once you have a rough idea how is our heroes attack animation, you should attack the dying creep keeping your attack animation and your damage in mind. Most of the time, melee heroes are easier because you only need to observe their hitting animation while Range heroes need to consider their distance from the creep as well as animation of the attack. One easy way to last hit effectively is looking at the mage. Among all the creeps fighting, the mage usually has the highest damage. The mage will hit the enemy creep in constant rate so it will be easy for you to decide when to attack. After the mage attacks and you know it’ll be one blow before the creep die, it’s time for you to click it. This is effective but in some cases, it’s not. Like when you have 2 or more mages, or you have a catapult that does more damage than the mage. In this case, you have to consider the rate of hp reduction of the creep. Neutral Creeps gives you enough amount of gold that Enigma can farm a dagger in 8 minutes. Thus, on the average, neutral creeping can give you 268 gold in one minute. Neutral Creeping also gives you additional safety from gankers. If you have wards, it’ll be harder for you to be killed. But it is never advised to leave your lane empty for enemy and farm in Jungle because this will give free farm to enemy heroes. If you dominate a lane, chances are you’ll get a good farming time because the enemy tries to stay away from you. If you are in tri-lane, harassing can be done by your supports using normal attacks or using / casting spells and in meanwhile, carries can farm easily. In the same process, if you guess the enemy has low HP, you can also try to secure a kill to earn extra gold. In case you are in a solo lane or dual lane, you must use your spells wisely and must keep harassing the enemy. Since 6.83 update, the importance of rune control has increased many folds. Because from now onward, runes will always spawn at both ends and out of which 1 will always be a bounty rune. Bounty rune will give you extra gold and experience. More time passes in a game, the more and experience you will get from bounty rune. Also, do not forget the renewed charges of your bottle with which you can farm more. So rune control is extremely important if you want to farm fast in Dota 2. Also, successful bottling will negate the effect of enemy harassing and will help you stay in lane for more time. So do not forget to buy a bottle especially if you are in mid and occasionally when you are in any other lane. Wasting gold, like buying TP and using them to teleport on a tower but it’s not that urgent to use it. It will surely slow down the rate of your farming. For example, when enemy creeps are far away from your tower. You can walk to your tower and when you reach your tower chances are the enemy creeps are just reaching your tower along with you. You saved 50 gold from impatient teleportation. TP is vital to the game but you should use it wisely, like backing up a teammate / Team fight. You’ll need 2 creeps to farm 50 gold again. Thus you’ll be delayed in farming. Don’t rely on spamming spells to farm. Spamming spells help you push not farm. Spam spells only when needed, like if you see a big wave of enemy creeps coming, then it is a good time to use your AOE spells, instead of using your precious AOE spells and killing only 1-2 creeps. Spamming AOE spells makes you go back to the fountain back and forth because you won’t have enough mana and if meanwhile, your team needs you, you may not be of that much use to your team because of low mana or your spell on cooldown. Maximize your map reach is important to have your luxury items. Burning(EH.Gigabyte.AAA), used to farm fast by moving all over the map. So we can say like this, “where there are creeps, there your farmer goes”. Do not forget to keep an eye on enemy heroes, or else you might be walking happily into an enemy trap. If you are not able to get any farm in your lane, switching your lane to a more comfortable lane is always a good idea. Search for the creeps your self, because creeps won’t come to you. I said 10 tips, but it the 11th one… WTF ?? You are always most welcome to add your useful tips below in comments, if its something awesome, I will surely add it in the main post. Dota 2 TI5 compendium owners have been worried about leveling up their compendium since the day it was released. 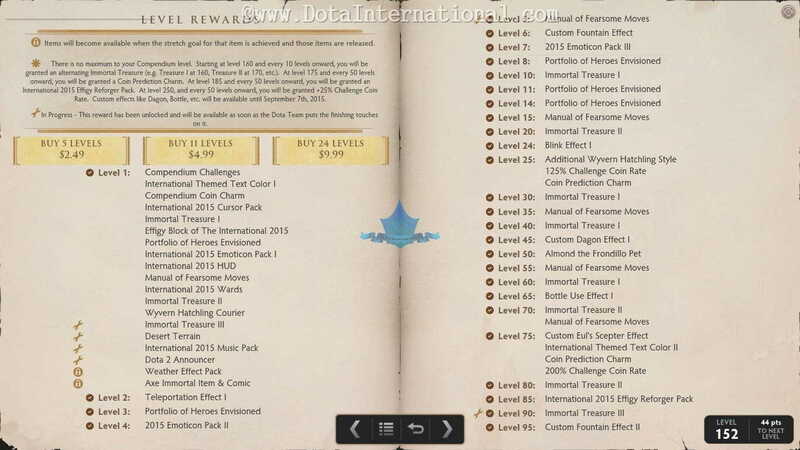 Till 14th may there were not many ways of leveling up the TI5 compendium and frankly speaking this time it is not like TI4 or TI3 where compendium owners enjoyed more and more benefits without having to pay lots of money. I will be explaining how to level up Dota 2 TI5 compendium. So thanks to Dota 2 Update on 14th May that it provided us with some other ways of leveling up the compendium, although its still not like old times but “Some thing is better than nothing”. 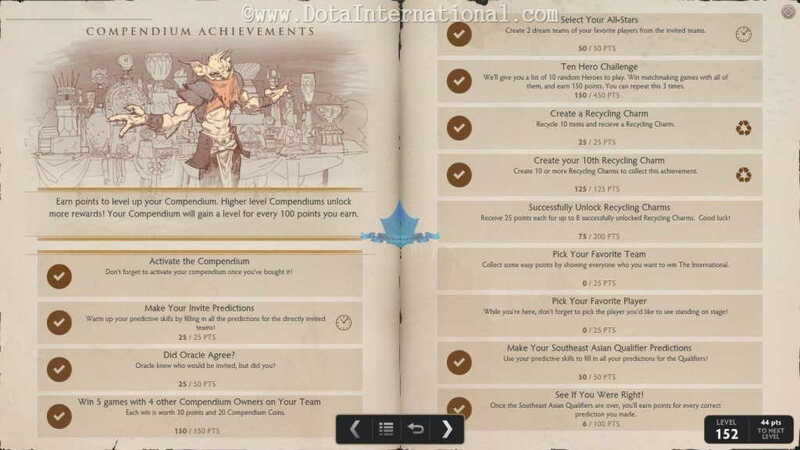 So lets discuss in detail how can we Level Up our Dota 2 TI5 Compendiums. If your pocket allows, buy as many compendium points from Dota 2 store as you can. Remember there is no upper limit for your compendium level. With this method you can earn unlimited levels for your TI5 compendium. So with money, you can even take it to level 10,000 by spending almost $4,000 + So you can earn unlimited levels this way. There are around 25 achievements as of today. You complete those achievements and you get points which are mentioned below that achievements. Thanks to valve that they have included some more achievements in compendium in recent 14 may update. But there is a problem, completing achievements get you only a limited amount of points. As of today, you can only get —– points by completing all of your achievements that means you can get only limited levels. 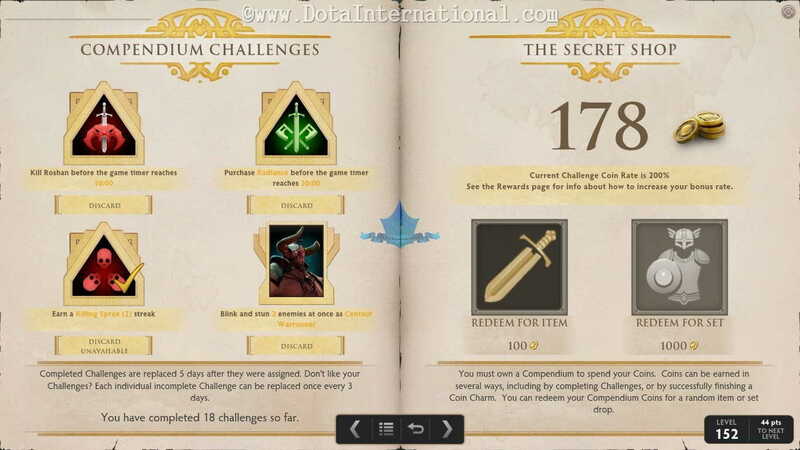 There are different challenges given in compendium which needs to be completed during game. There is a compulsion, that you need to win game after completing your selected challenge. Once you win a game you earn a certain amount of reward after completing every challenge. These challenges are very easy in start, then becomes moderate and later on as you complete more and more challenges, they become more and more difficult. It does not mean those can not be completed, but they need lots of team effort skill and game knowledge to complete. For example, “Deal 1000 damage to heroes in 1 second”. Now people kept thinking bout heroes like Phantom Assassin, Wraith King for their critical strike or tinker with Ethereal blade and Level 5 Dagon, but remember guys it says “Heroes“, why don’t you take AOE spell casters and deal damage in AOE in 1 sec, like Queen of Pain ultimate to 2 heroes and this challenge is gone. There are 2 different types of Hero Challenges which can earn you coins and Compendium points. 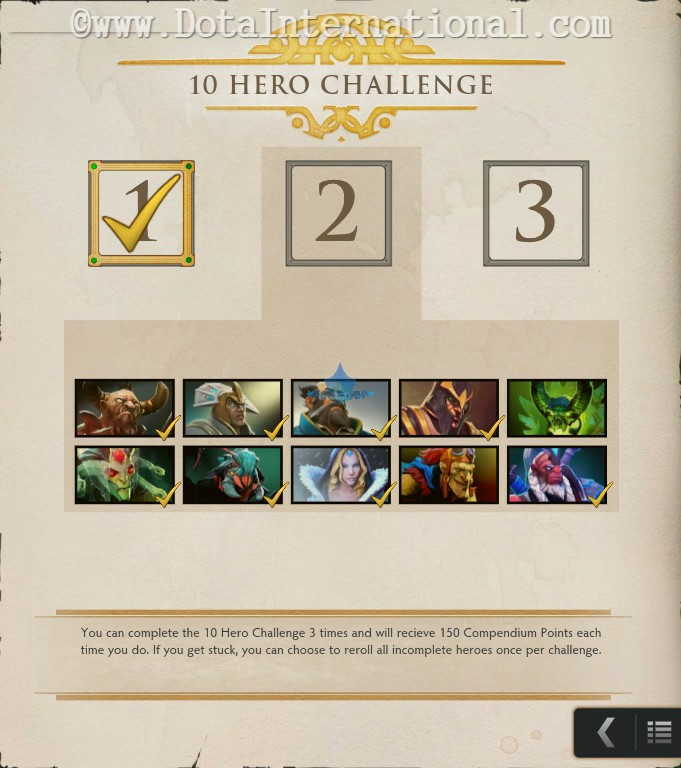 The Ten Hero Challenge gives all Compendium owners the chance to earn additional Compendium Levels by winning normal games with a selection of heroes. The Ten Hero Challenge can be completed up to three times with a different selection of heroes for a total of 450 points (4.5 Levels). Once you complete 10 heroes challenge once you get 150 Points, mean 1.5 levels. So after completing it 3 times, you get 450 points or 4.5 levels. each time you complete 10 hero challenge once, you get different heroes next time. You can also re-roll once in each 10 hero challenge, to change your heroes randomly. All Compendium owners will now have an additional slot for hero-specific challenges in their list of in-game challenges, which will award both Compendium Coins and points toward Compendium Levels when completed. After the latest update, now other than All Pick games, you can also complete Challenges in Captains Mode, Captains Draft, Random Draft, Single Draft, and All Random game modes. Whenever you recycle any 10 items, you’ll earn 25 points toward a Compendium Level as well as a Charm of the Crucible Jewel II. There are also three Compendium Achievements for Charms to help you earn more Compendium Points. You can recycle unlimited items for unlimited levels. 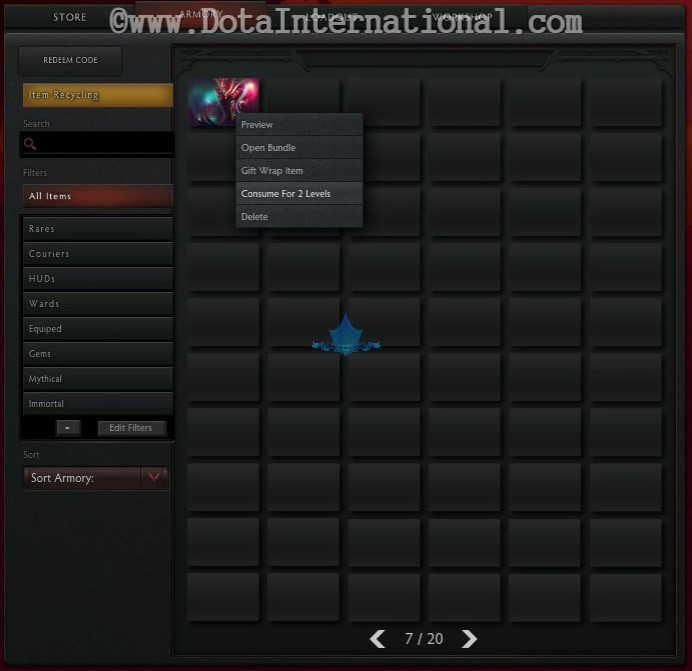 You can choose to consume any TI5 Compendium Immortal by right clicking on it in the Armory and choosing the Consume option. You’ll gain 200 Compendium Points (2 Levels) for each Immortal consumed this way. This option suits those players best who have high levels of immortals and they can easily consume some immortals they don’t like to increase level of their compendium. You can consume unlimited items for unlimited levels.